The Funezee A3 size cinematic light box compliments any photo booth perfectly. 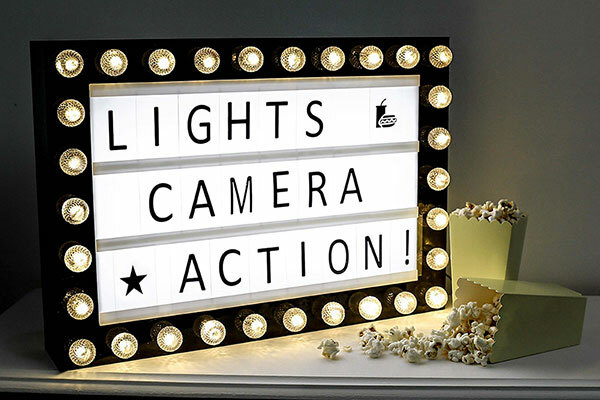 The mains powered cinematic light box has a vintage cinema/movie feel to it and allows you to light up your own personal message/phrase. The unit has beautiful installed warm white bulbs creating an element of excitement. Your able to choose your own letters, numbers and symbols – for all social media fans, there is a hashtag!